The new dates include shows in Glasgow, Belfast and Dublin, and immediately follow the band’s appearance at Sonisphere, according to the Sisters’ official website. The concerts will be the Sisters’ first performances since wrapping up 30th anniversary dates in the summer of 2012. 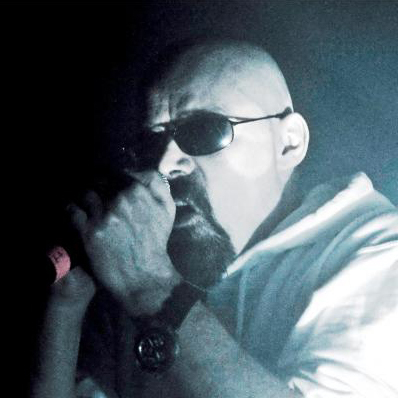 Andrew Eldritch, Doktor Avalanche and whomever else constitute The Sisters of Mercy these days were fairly active in 2011 and 2012, playing a number of anniversary dates across Europe, Japan, Australia, South America and Mexico. via The Sisters of Mercy expand summer tour with new dates in U.K., Ireland — slicing up eyeballs // 80s alternative music, college rock, indie. Anybody heard any of the latest gigs? Eldritch’s voice is shot. Completely. Who’s the guy they hired to fill in where Eldritch can’t go anymore? Maybe the Sisters and Van Halen could swap vocalists and see if it makes either band better? DLR’s voice is shot too. Some folks can keep their voices into their 70s; no such luck for these two. Unless they’re a lot older than we thought? My whole comment just got deleted due to login issues so had to come back and retype the whole bleedin’ mess. All I meant to say was I’ve been a Sisters fan for ages, saw them in Philly at Electric Factory in 1997 or so (an infamous gig for all the very wrongest reasons) and it wasn’t too great, gig, show, his voice, anything, lost a lot of fans after that show in the USA for sure, and I haven’t personally heard anything encouraging about the Sisters live or otherwise since. And now it’s 2014. I think it may be time to gracefully bow out and retire this great band before things get any worse. I was thinking from 1997-early 2000s that Andy was just deliberately doing crap gigs or obscuring his voice live for whatever reasons, but you can only mask things for so long. The venue and material are one thing: a totally shot voice is difficult to hide or recover. I’ll always be a fan but this is getting depressing and embarrassing. I agree. I saw them on their 10th, 20th & 30th anniv tours, plus other times, and they have been getting more ‘metal’. And Eldritch’s voice sounds shot. Thanks for retyping – all comments are greatly appreciated.